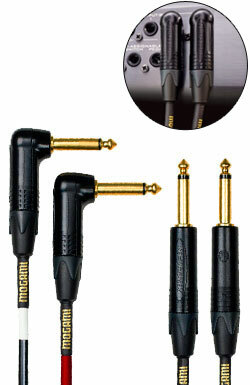 The true, unaltered sound of your keyboard comes through with Mogami Gold Keyboard S Cable. A neutral cable with a very wide bandwidth for highly detailed, accurate sound. The Gold Key S stereo keyboard cables are made from Siamese left/right configuration cable for cleaner wiring and more ruggedness.